The Twilight Sad, The Fresh & Onlys, Ty Segall, Teleman, The War On Drugs and more. This show was 35th in the global indie chart, 39th in the global rock chart and 64th in the global pop chart. 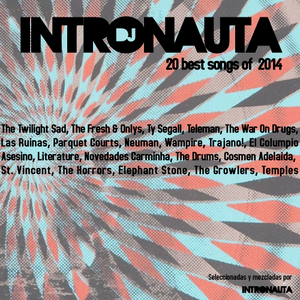 Éstas son las 20 mejores canciones del 2014. Seleccionadas y mezcladas por Intronauta Dj.